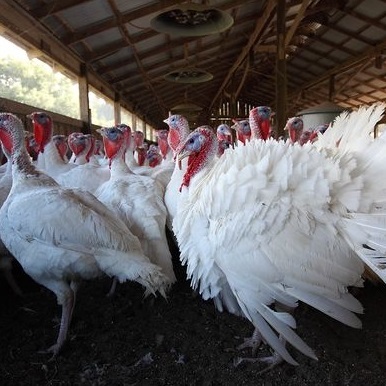 July 21, 2015 – Avian influenza, a disease that affects birds, could be devastating to Georgia’s poultry industry. To insure the proper disposal of infected chickens and turkeys in the event of an outbreak, the Georgia Department of Agriculture is conducting a training exercise at Fort Valley State University on July 22. From 9 a.m.to 4 p.m., workers from the Georgia Department of Agriculture (GDA) will participate in drills and attend lectures at FVSU’s O’Neal Veterinary Science Building. Anna Ellis, veterinary technician at FVSU, said the school’s selection as a site by the GDA is to train its southern Georgia staff. The purpose of the exercise is to instruct workers on the proper use of machinery that utilizes foam to humanely euthanize chickens and turkeys. The morning session will feature actual demonstrations of foaming machinery while the afternoon session will consist of classroom time. This is the second of two training sessions conducted by the GDA. The first training session was conducted in Gainesville earlier this year for GDA staff in the northern half of the state. For more information on the training exercise, contact Ellis at (478) 825-6424 or e-mail at ellisa@fvsu.edu.